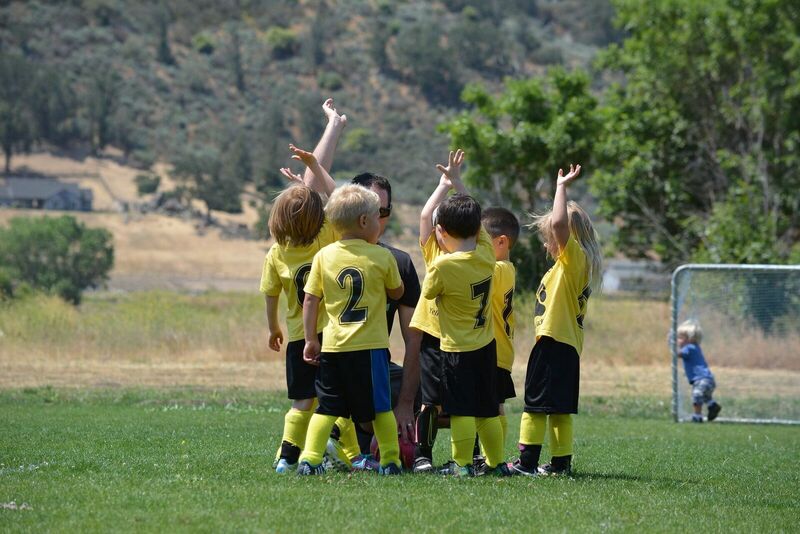 One of the most important things in youth soccer is how a soccer practice is organized. 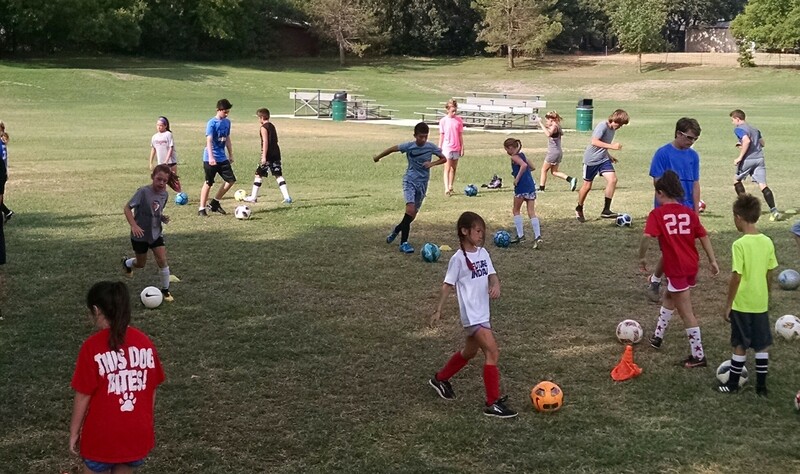 Below you’ll find some of the best ways to run a soccer team practice for any age or level. 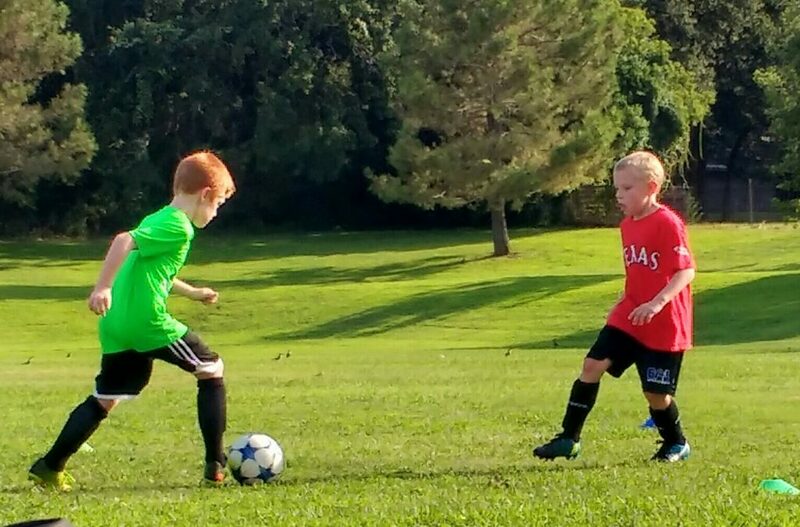 Whether it’s ages 6 and 7 year olds or ages 14-17, how a soccer practice is run will determine how much a player improves. Let’s face it most soccer players don’t touch a ball outside of team practice. If you can add in several elements in one drill and eliminate lines you are giving your team something to improve on fast. Below I have video and content giving you ideas to use or adapt on your own. Besides preventing injuries, a good warm-up will do many things to set the tone of your practice and get the best from the players. Besides being something players need to do every single practice, there are other things to help players benefit. Younger players, especially boys ages 6-9 are going to be super hyper. A good soccer warm up will get players mentally ready and prevent injuries. A bad warm-up or practice can be a major distraction and hold the team back, so get them all moving without having lines. A 4-7 minute warm up with or without the ball is how long it should be. You can change it up, to keep them from thinking they are going to do the same thing as last week. The most important reason you want to warm up is to prevent injuries. I see it all the time, coaches will 1 or 2 long lines which is wasting everyone’s time. Lines are where players get distracted most, plus lines keep players from actually getting reps/training. Instead of having a drill with 1 or 2 long lines, get everyone spread out and working on different elements. You can either have small groups of 2-4 or larger groups of 7-12 players. If you have smaller groups of 2-4 then you probably have 3-10 groups. If you have groups of 7-12 players then you have only 2-3 groups. Below you can see a video of 2 groups of 7 players competing to see which team can score 10 goals first. This is one of the best ways to run a soccer team practice and you can adapt it so many ways. Making drills competitive keeps the players energy high, plus they have more fun. I like to tell the story of when I had 2 sisters come from 1 hour drive in the cold wet Winter season. During stationary drills they were partners and both had bad body language and attitudes. So what I did was tell the group of 12 players that we would now compete for candy. They erupted in excitement! Once we started the drills, I could see 100% effort, positive encouragement and a new life to the session. After we played a few more games, I pointed out how before the competition players were low energy and once I said compete for candy everyone came to life. They all started to laugh and I said, “This is how you need to train everyday. Find it in you to choose to treat drills like they are a competition.” All of them responded well and it’s moments like this that build character in people. Circuit training is a great way to make sure every player is benefiting and improving. Sometimes it can be hard to have a few really good players paired up with lower skilled players. Both players get frustrated in different ways. So you can either have 10 different stations and rotate a pair of 2 players every 1-2 minutes. If you have 20 players, get 10 stations. If you have 14 players get 7 stations. Divide the stations up by the number of players. You need half the number of stations to players. Remember that to run a soccer team practice, you want every player improving not just the bottom or top half. Another way to work with players in different levels is this. The photo below shows a dribbling drill where there are 4 groups all different ages/levels and each group of four has 2-3 players on each side. They dribble to the middle, do a move and go to the back of the other line that they were facing. It’s a great drill to keep everyone moving, and hardly standing. Everyone has to go the same way, example to the right so that they don’t run into each other. Coach demonstrates a new move every few minutes. If you can get every player with a ball you can do thousands of skills and drills. The worst thing you can do is have players standing around for more than a few seconds. Development starts with what you are working on and how much of it you can do in the team practice. Besides getting a good amount of the right touches, you also have to get the form right. Example: When using the outside of the foot, bring the foot up almost as high as the ball and angle your foot so that the foot is not facing the sky, but more forward and to the side. Hard to explain, but in my free ball control lessons you can see it explained. I remember this being one of the most popular drills run from my pro coaches across the world. Yet, it’s a drill that youth coaches and players can work on even as young as age 5 and 6. This drill will help players pass quicker, look up to find teammates and move off [without] the ball. The better the passing skills, the smaller the grid should be. So 5×5 for higher level and 10×10 for lower level passing skills. If the grid is bigger it allows for more time on the ball and less pressure, therefore allowing for more passes. You want the group to be able to get at least 5-10 passes. If they are getting more, either the grid needs to be smaller or the defender needs to work harder. With a team you can have the grids side by side and with a team of 16 players, four grids will do it. 1v1’s are also something that will help you run a soccer team practice and improve several elements in one drill. This will help players improve on defending and attacking, which helps with confidence, experience and brings up good coaching points. How to defend is very important in soccer/football and is what will win or tie games. If you don’t have a team that can defend well as individuals it will be hard to win. I would mix up the training where sometimes the players are working in a tight 5 yard wide by 10 yard in length and also do it where it’s in a big space of 20 x 30 going to goal. One reason I ask my trainees questions, is so I can better help them in others. Two things I see every age and gender has in common is wanting to why they messed up or how they can improve and the other is I see players thrive when they know it’s okay to mess up. It’s one thing to show frustration as a coach if players are not working hard, but if they are mess up while trying don’t get mad at them. I guarantee that even if they don’t show their disappointment or frustrations as player, they are. Every player who’s a true competitor and is teachable wants to hear “it’s okay” after a mistake and also how they can improve in what they messed up on. How you instruct players is very important and not easy! One thing I try to make sure and not do is use the words always and never. Example: Some coaches say you always want to get your foot back to get more power. Well really you don’t always have to. Other ways to communicate better is simply letting the players know that you know soccer is very difficult, and that you understand mistakes are going to happen. Let them know to keep trying, don’t worry about messing up and enjoy the process of improving. Every player is different, but every player wants to feel that you care about them and want them to improve. Try to spend at least 20 seconds or 1 minute getting to know the player. Maybe when everyone goes to get water you call one person aside and tell them they are doing good, or how they can improve. One thing I notice that is different from a team or large group setting to a private 1on1 lesson is players act very different. In a team setting there are days where coaches hardley were able to say hello to a player. The time goes quick, so make coaches who verbally let the players know how they are doing get more out of them. How a soccer practice ends is usually what sets the mood for the car ride home. A player could have a bad practice day, but if they end it off with something fun or encouraging they end up leaving happy. One thing you can do is play a game called “head /catch” which is where you toss the ball to each players head and say either “head” or “catch” and they do the opposite. Players all ages from 10 – adults love this game! You can play it with ages 8-9, but make sure you use a soft or almost flat ball. You don’t want one of these little ones heading hard soccer balls at this age. It would be like an adult heading a super hard basketball, which I wouldn’t want to do. You’ll see that players love this game and want to play next week. Another game, more of a shooting game is where each players has a ball. One by one they shoot from 6 yards out and have to hit nothing but net. If the ball hits the ground first or misses the target the player is out. Once everyone goes, then for the 2nd round you back up 6 yards to the penalty spot. 3rd round is 18 yards out, 4th round is 24 yards and 5th round is 30 yards. Around 24 or 30 yards is where ages 12+ get out. 18-24 is where it’s tough for ages 8-11. This is a great way to teach how to strike the ball properly, using the laces or using the inside to bend the ball. Using the inside to bend it way different then using the inside push pass. Here’s a good article on how to strike the ball properly, get more power and use different techniques.